The pressure cooker is an amazing device for making flavor-packed stews in very short order. In this version, French lentils are flavored with big chunks of pancetta, chicken stock, carrots, onions, bay leaves, and fall-off-the-bone tender chicken legs. It all cooks in about 30 minutes start to finish. A pressure cooker will get your chicken fall-off-the-bone tender in just about the same time as it takes to cook the lentils. Minimal ingredients and only a few steps make for an easy, one-pot, ready-in-30-minutes meal packed with flavor. Sherry vinegar and extra-virgin olive oil add brightness and fresh flavor to the finished dish. Heat oil in a pressure cooker over medium-high heat until shimmering. Add bacon and cook until starting to crisp around edges, about 1 minute. Add onions and cook, stirring, until softened but not browned, about 2 minutes longer. Add carrots, lentils, parsley stems, bay leaves, chicken legs, and chicken stock. Season gently with salt and pepper and stir to combine. 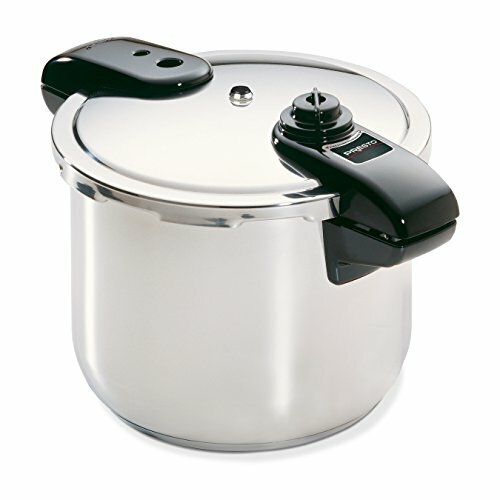 Seal pressure cooker and bring to high pressure. Cook for 20 minutes. Cool pressure cooker under a cold running tap (if using an electric cooker, use the quick release valve), and open. Using tongs, transfer chicken pieces to a bowl. Discard parsley stems. Return lentils to high heat and continue cooking, stirring, until reduced to a thick, stew-like consistency, about 5 minutes. Meanwhile, shred chicken, discarding bones and skin. Stir chicken and vinegar into beans. Season to taste with salt and pepper, stir in half of chopped parsley, and serve, passing remaining parsley, sherry vinegar, and olive oil at the table.